Jersey City’s Pride Festival is the only thing and everything you should do in Jersey City this Saturday, August 26th. From 1-9pm, join in the festivities in the historic downtown area of Jersey City, right outside of the Grove St. PATH station. 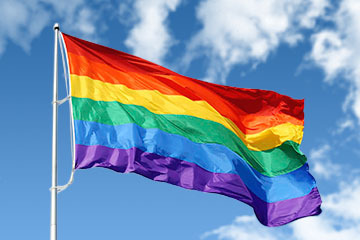 The Jersey City Pride Festival celebrates the diversity of the gay, lesbian, bisexual and transgender communities and allies of Hudson County and the New York City metropolitan area. It is one of the largest festivals in Northern New Jersey. Last year, the official estimate of attendance at the festival was 9,000-10,000 people. This year, the festival’s 17th, will have an even bigger turnout. This year’s Grand Marshal is Carmen Carrera, an international human rights advocate and a high-fashion transgender model. Carmen will also be receiving the Eileen “Beanie” Gaughan reward in recognition of her role as a community activist and educator. Read more about Carmen and her heroic work here. Jersey City Pride reminds us of the importance of diversity in our community, and how we are becoming stronger by honoring our foundation in history as being accepting of all individuals and their contributions to society. There will be plenty of live entertainment in this celebration of love and support. More information here.